At last, the cameras are rolling on Stranger Things season 3. Series executive producer and director Shawn Levy, who has been with the show since the start, confirmed that Netflix's sci-fi sensation officially began filming its third season today (Monday, April 23). Chatting with Collider editor-in-chief Steve Weintraub, Levy gave an update on how things are coming along behind the scenes, revealing that the Stranger Things team just finished first table read, which included scripts for the first four episodes of the new season. 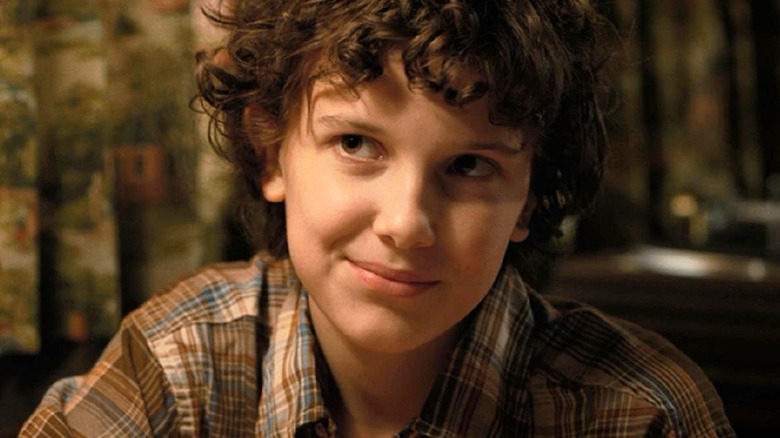 This means the team is on about the same course they operated on previously, as the Stranger Things cast and crew had four scripts ready ahead of production on season 2. It also means they'll function under a similar shooting strategy: Stranger Things creators Matt and Ross Duffer will duck out to write the rest of the season while shooting on the completed scripts takes place, with Levy directing a few of the first episodes. As Levy explained, "It is the same number of scripts as last year. The rest of them kind of get written as we shoot, as we edit, as we go. I'm once again directing the third and fourth episodes so that I can give the Duffers a breather, and send them back into the writing cave, so that they can buff out the rest of the season. That's why I took on these episodes in season 1, and now the three of us are just a little too superstitious to mess with what's worked so far." He added, "The prep beyond that, it's really a similar juggling act where the Duffers, because they always understandably want to direct the kick-off episodes, they have to juggle their limited time between writing and re-writing and prepping as directors, all at the same time." Levy then discussed who else might join him to direct a few episodes of Stranger Things season 3, stating that fans shouldn't expect any surprise names to pop up on the list of creatives. With a reduced episode count, down from a ten-episode second season to an eight-episode third turn, Stranger Things has to be a bit more selective with who it lets behind the camera. "It's not a huge surprise," said Levy. "There's eight episodes, so there's a very limited number of slots available." However, viewers should definitely take Andrew Stanton out of the running for season 3 directors. Stanton, who helmed two episodes of Stranger Things season 2 and directed Finding Nemo and WALL-E, has a packed schedule, so things didn't shake out this time around. "We had some schedule issues trying to figure out how to bring Andrew back, because we were beyond thrilled with him as a human being and his episodes," Levy explained. "So the only answer I can give you today is it's not Stanton [who will direct new episodes], though we very much hope to keep him in the director[s] club of Stranger Things as we move on to other seasons." Looking beyond season 3, Levy reiterated that Stranger Things season 4 is undoubtedly happening and that there's a potential for even more seasons, but the team wants to keep things flexible. "We have a good sense of stuff that happens in season 4. Season 4 is definitely happening. There's very much the possibility of a season beyond that one, that's currently undecided. And what I would just say is part of the chaos and fun of this particular show is that while the Duffers and the writer's room and we producers outline the entire season, the Duffers really use the writing process to revisit, reassess, and question all of their prior assumption," explained Levy. "We always start off with a good sense of the major arcs of the season. We're always ready for shifts and surprises, because if the Duffers stumble into a different or surprising inspiration while they rewrite the script, we're going to follow that inspiration and throw out some ideas in order to embrace some new ones that are more exciting." Levy concluded that he has "no doubt" season 3 of Stranger Things will be "no exception" to that trend. Stranger Things season 3 brings back all our favorite characters — from Millie Bobby Brown's Eleven to David Harbour's Chief Hopper — and introduces a handful of new faces — including Cary Elwes as Mayor Kline and Jake Busy as a man named Bruce. Netflix hasn't yet announced a release date for Stranger Things season 3.